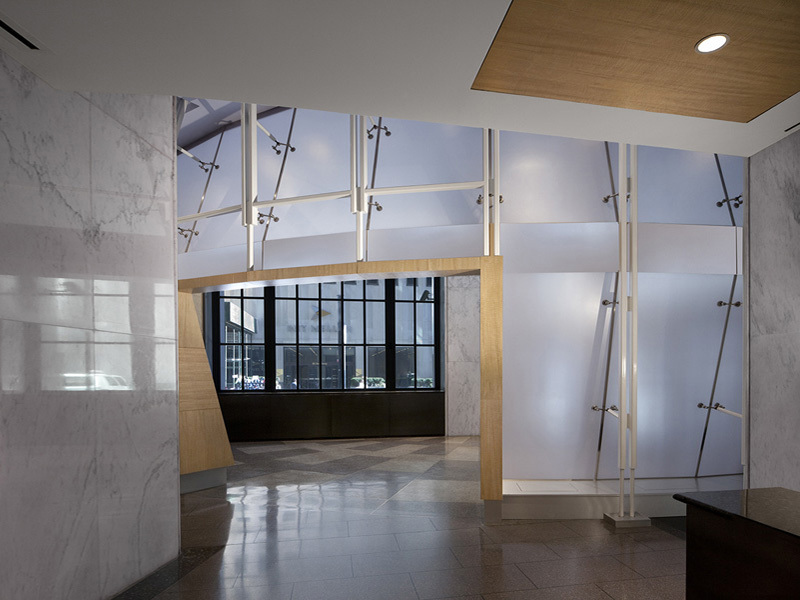 The original 1920’s grand lobby was reduced by an unfortunate renovation in the 1960’s. 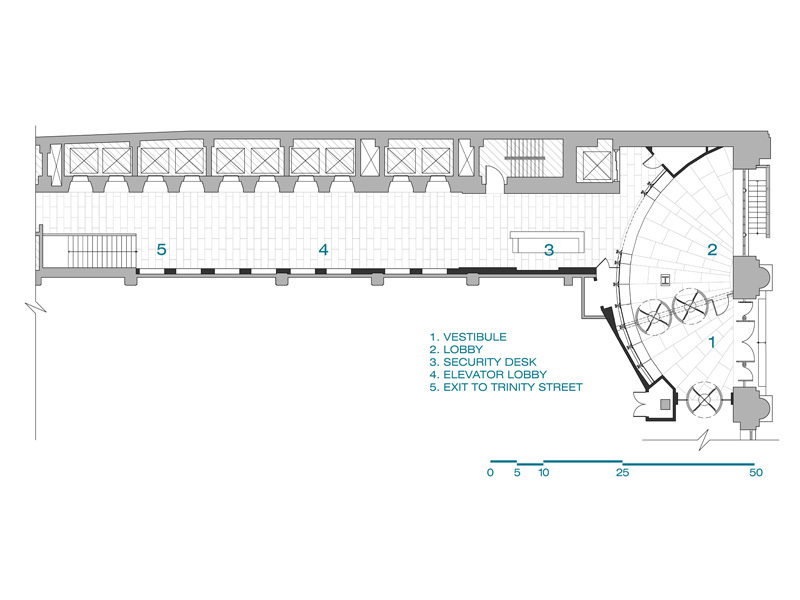 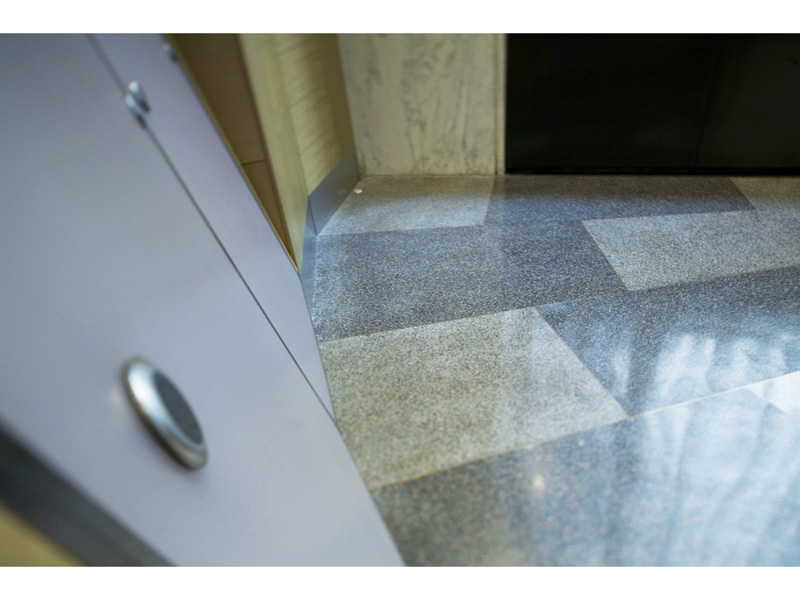 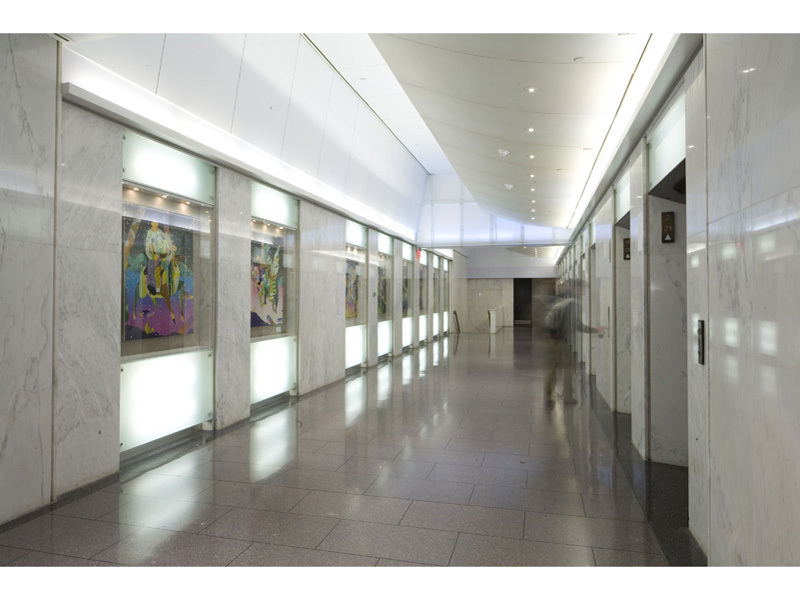 In an attempt to allocate more usable space for retail, the elevator lobby became an off center, narrow slot, one-third the original width. 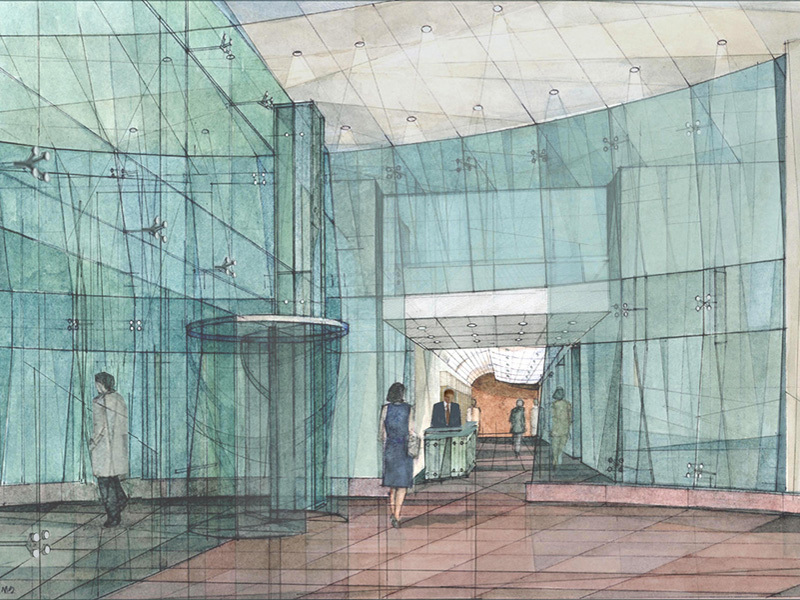 The 1960’s era stone wall at the entrance was removed and replaced with a two-story faceted glass partition. 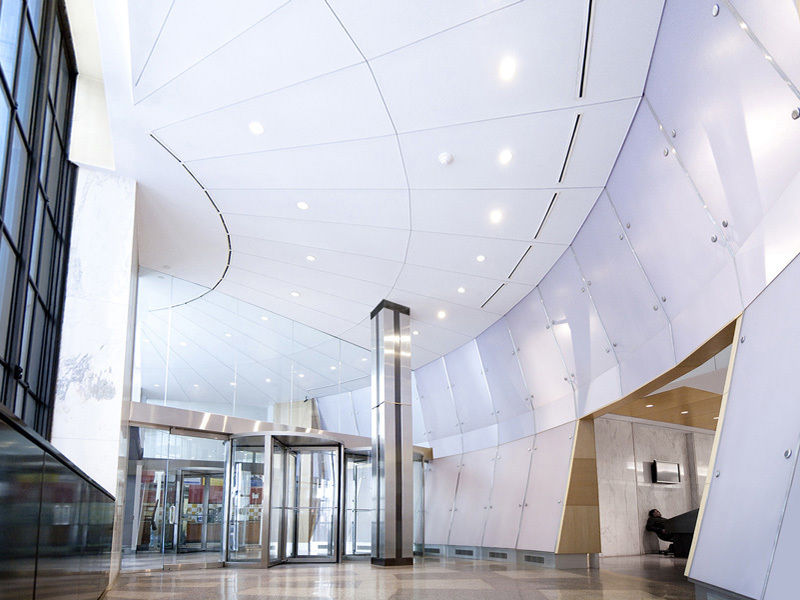 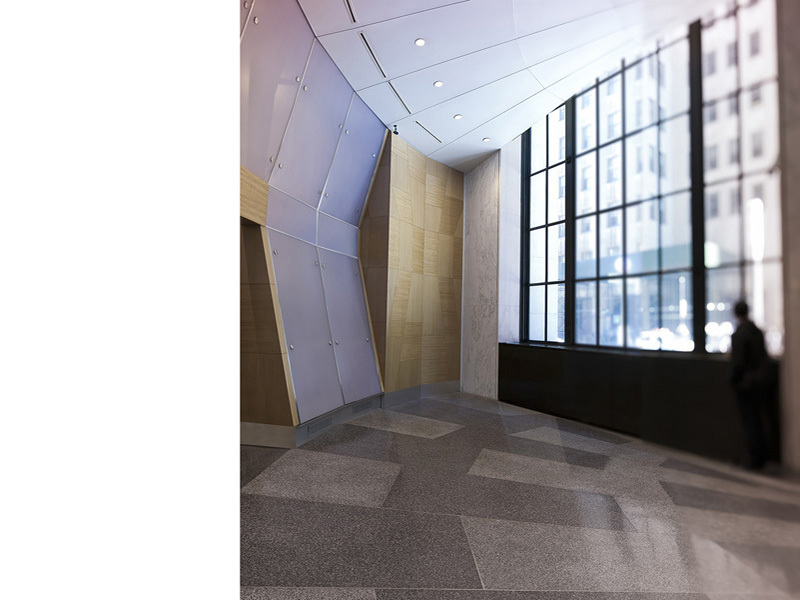 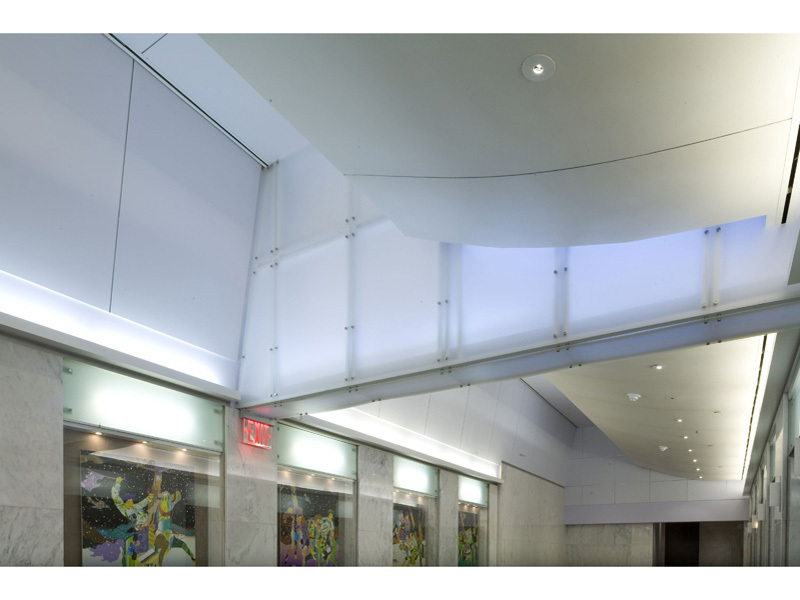 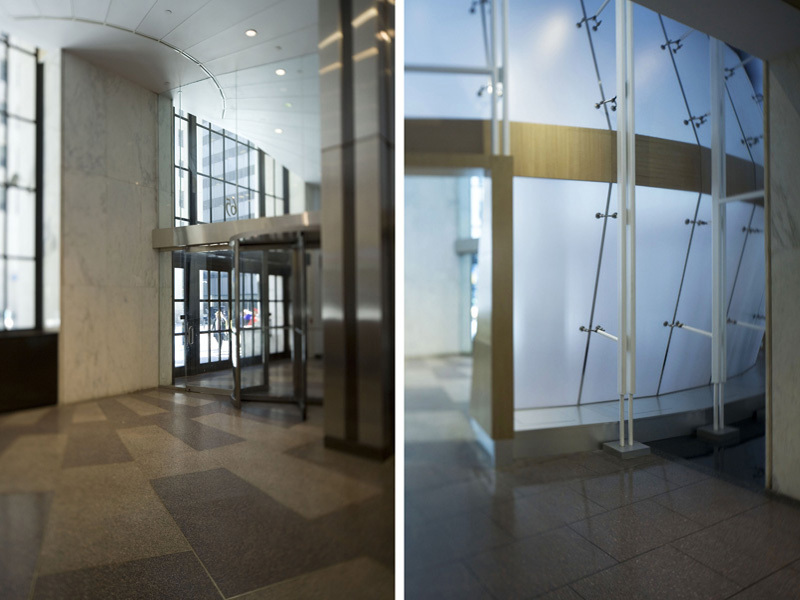 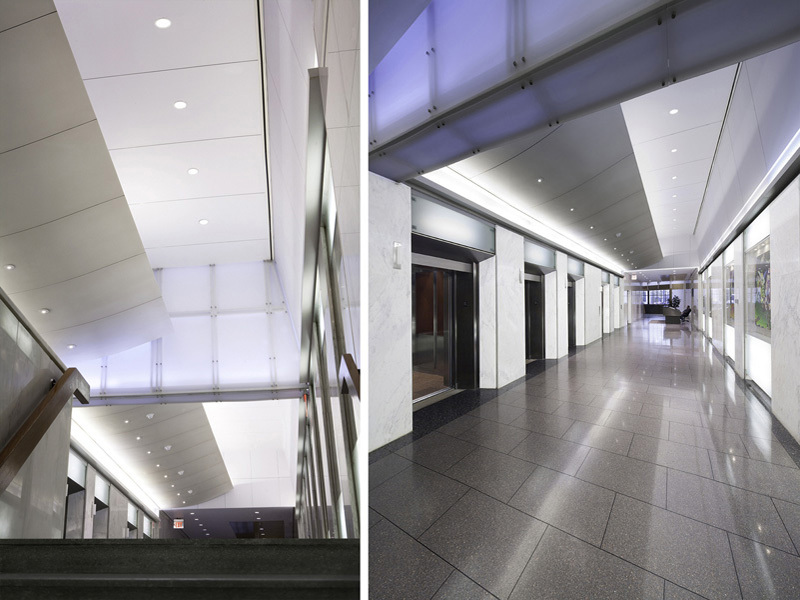 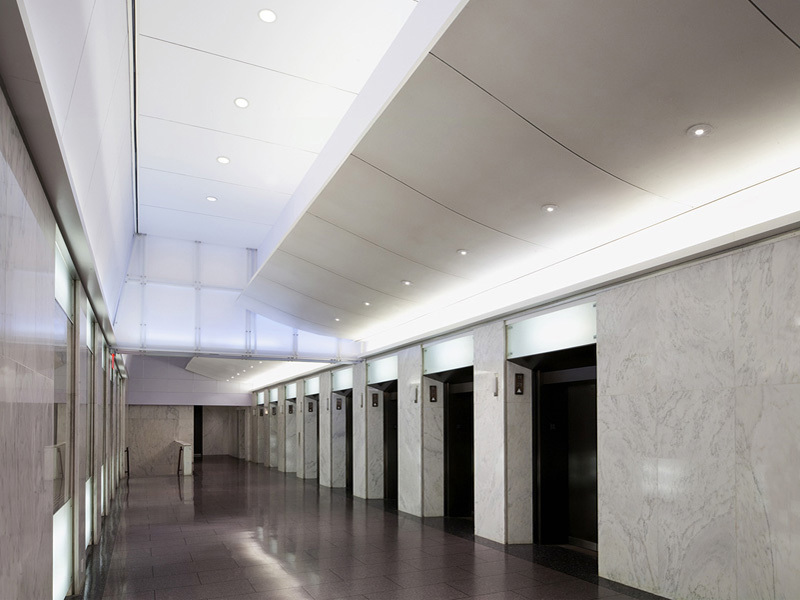 A new vaulted ceiling, illuminated display cases, and direct and indirect lighting design was added throughout the elevator corridor. 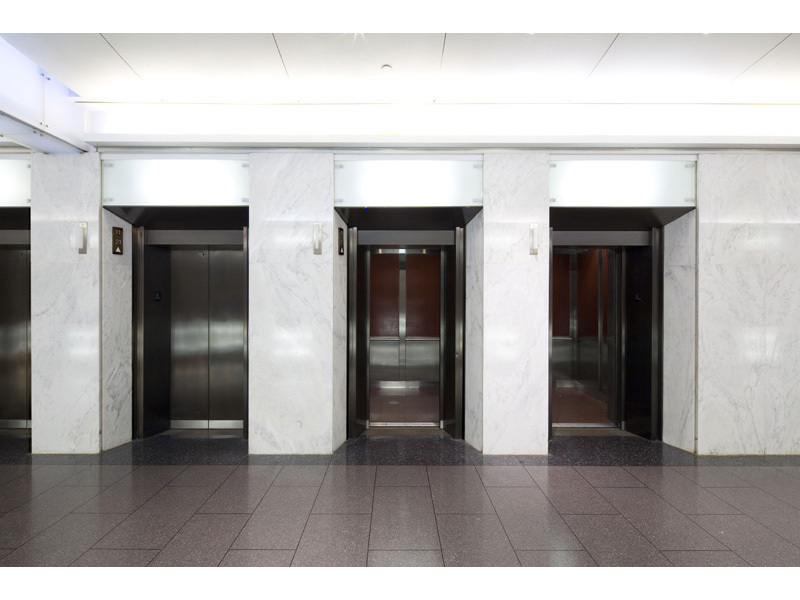 The elevator doors and cabs were refinished, and new elevator controls were installed. 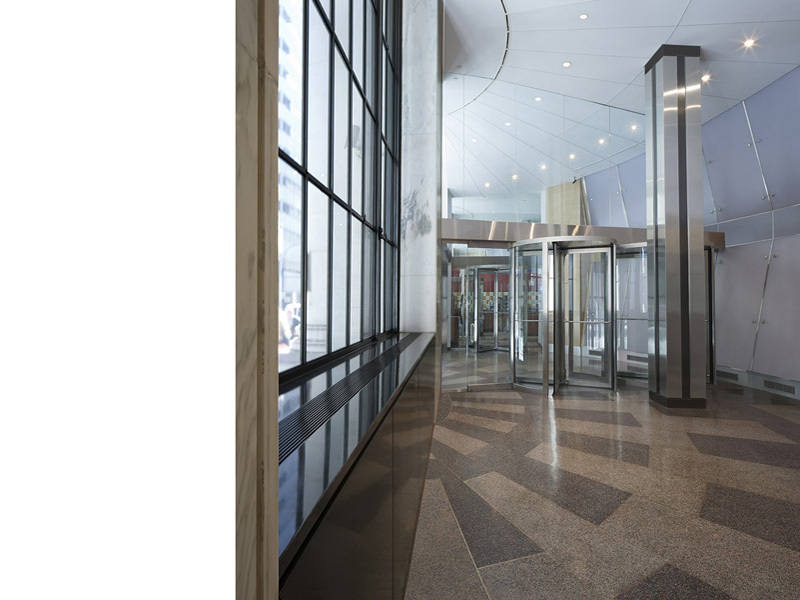 Resolving the misalignment created by the prior renovation restores the lobby’s functionality and allows for unrestricted flow throughout the entire space.